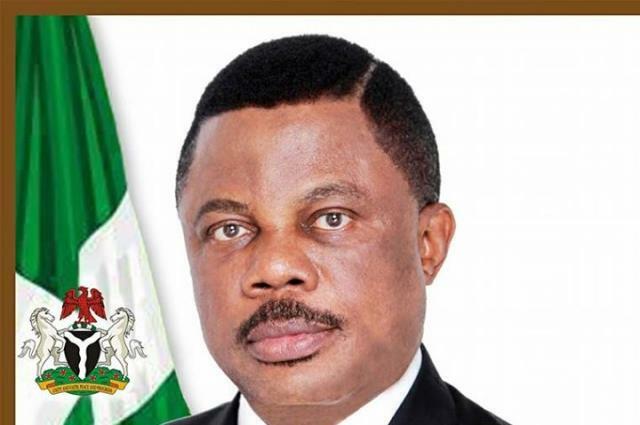 Governor Willie Obiano says his administration will introduce a Mobile App, for Agricultural Extension and Gamer Information Management System, in the State. He disclosed this during the inauguration of the 2018 Farming Season at Atani in Ogbaru Local government Area. According to the Governor, a comprehensive four-year development plan has been evolved for different agricultural produce and farm types to increase productivity and effective land utilization adding that what his government aims to achieve in the coming years, is an agricultural system that will feed the people, protect the environment and return investments. He disclosed that Government is to spend the sum of four point one billion naira on very strategic agricultural development initiative in the 2018 planting season. The Minister of Agriculture and Rural Development, Dr Audu Ogbeh represented by a Regional Director in the Ministry, Sir Nnamdi Ibezim, said the Obiano administration has distinguished itself by its effective implementation of good Agricultural policies, adding that the Ministry is proud of what the Governor has done in encouraging farmers to improve their practice. In a goodwill message, a representative of the Central Bank of Nigeria, Mr Chuks Sokari said the Bank is poised to work with the State, to create jobs and alleviate poverty through Agriculture. In an address, the Commissioner for Agriculture, Mechanization, Processing and Export, Mr Afam Mbanefo, explained that the Obiano administration is desirous of empowering, more small holder farmers across the State. The event which has as its theme, "Developing Modern Agriculture through Cluster Farming Sustainability ", also witnessed the inauguration of Cluster-based Farming initiative in the State as well as distribution of Motorbikes, farm inputs and machineries to registered farmers across the State.